If you need a fun way to maintain a fit body and relief from stressful work, softball is one of the best sports that can help. This article will let you know what softball is all about. It will help you know the fundamentals of the game and definite benefits you can gain. Way back in 1887, people started playing indoor baseball. It was usually played by women. The sport was given other nicknames like mush ball and kitten ball. It was not until 1926 when the sport was established as “softball”. Softball became popular in the 1930s. Sponsors and fans became fascinated with it. Thousands gathered for championship games. From 1996 to 2005, fastpitch softball became an Olympic game. Today Triple Crown, AAU, PONY, ASA, USSSA, NSA, ISC, and ISA are organizations which support softball. It is now not only played indoors but outdoors and mostly as a sport for leisure. You would be proud to help keep this sport alive because it has made several milestones in the past. Softball and baseball are often mixed up. You will find this information useful in identifying softball and baseball games. For softball pitches, are served underhand at 46 feet or 14 meters for men. Women are served 43 feet or 13 meter underhand pitches. The number of innings is the total of 7. Opposed to most beliefs, the ball is not very soft. Its size is 12 inches or 31 centimeters. In baseball, men and women face 60 feet or 18 meter pitches. There are also 9 innings. The ball for this sport is only 9 inches or 23 centimeters. Both sports are well-known throughout the country. Whichever sport you’d like to participate in, you are ensured of joy and an exhilarating experience. Softball though is recommended as a lighter sport. You would also want to know what is the best type of softball is good for you. There are two types of softball: fastpitch and slowpitch. Fastpitch softball is solely a woman’s sport. Only 9 players can play on the field. Slowpitch softball can be played by both men and women. It allows 10 players on the field. Both games encourage all ages to play but slowpitch softball is often played by adults. Some high school students that play fastpitch softball earn scholarships and become professionals. There are also professional slowpitch softball players that are as popular as baseball athletes. You would like both fastpitch and softball sports to follow. There are a lot of enthusiasts who gather talk about the trends in softball and become friends. They are also opportunities for business with softball buddies. Everything you need to know from the field to winning, can be found in this section of the article. Both types of softball is played on a dirt infield. The field is a quadrilateral shape. They can be enjoyed on solid or dry surfaces. Athletes can enjoy run around the four bases which are usually 45 to 65 feet apart or 14 to 19 meters. Softball players have to earn more points which are runs by batting a successful ball and touching all bases. The ball is 10 to 12 inches or 28 to 30 centimeters in diameter. The game starts and is observed by an umpire. Time outs can happen at any moment or once there is a clear outcome. In the innings, there will be a top half wherein home and away teams try to get runs or outs respectively. On the bottom half of the game, the roles of the teams are reversed. A game begins when the offense has a batter go to the home plate. The defense will deliver pitches and try to make the offense “strike out”. The team with the most runs are the winners. Some games may end after three and a half innings if a tea leads by 10 runs. If a fault shows up in the game, the winning team may declare 7-0. I already made an infographic on softball for your easy understanding. Healthy Body- you can have a good and fit body due to softball. The sport mainly strengthens the arm and leg areas. Strategic Mind set- you can learn how to plan and focus because of softball’s objectives. Whether you are playing fastpitch or slowpitch softball these advantages are all available. Softball is a great game especially if you encourage children to play it. Your health and even personal relationships can be helped with this sport. This game is also valuable for teaching the values of teamwork and discipline. You can gain all of these benefits with softball and learning the sport’s skills. Everything you want to know about softball can be found here at Ezteamsport.com. 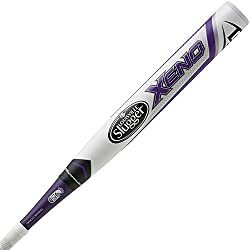 You should explore this site more to find out about cheap and high quality softball equipment deals that will step up your game.